eCommerce marketing is highly competitive. The cost of digital advertising is rising faster than inflation across all major platforms. Google Ads account for 97% of Google’s annual revenue, total digital ad spending for 2019 is expected to reach over $320 Billion, and content marketing will generate over $280 Billion a year by the end of 2019. As it becomes increasingly difficult to make yourself visible online, eCommerce and digital marketing experts have to find new ways to communicate. The Convertize eCommerce Marketing Guide analyses the major themes in digital marketing for 2019 and combines these with expert neuromarketing insights. Like traditional marketing, eCommerce marketing uses the internet to provide something of value to consumers. The world of Web Marketing and E-commerce is full of technical terms and industry conventions. The following guide will provide an introduction to some of the main concepts. It will also show you how to use cognitive biases and consumer psychology to communicate effectively and persuasively. The past year has seen a number of important changes in the world of eCommerce marketing. The rise of video continued and it is expected that video will make up 80% of online commercial content by 2020. Facebook was challenged as Google’s main advertising competitor. Amazon is now the world’s preferred alternative. So what does this mean for eCommerce marketers? One major take-away message is that the era of Google-only advertising may be coming to a close. Whilst the search engine giant continues to account for the vast majority of web traffic, websites such as Amazon and social media platforms such as Instagram and Facebook are now major advertisers. Competitor search engines such as Bing have also shown remarkable growth in reach and engagement. The importance of mobile browsing and video content has also been re-affirmed. Effective eCommerce Marketing is now a multi-media and multi-platform exercise. These are some of the latest themes and trending-terms in eCommerce marketing. Over 50% of senior marketing professionals believe there are gaps in how they measure attribution. What is Attribution? Digital marketers have to evaluate which marketingchannels are having the biggest impact. This is complicated by the number and variety of touch points that make up a modern campaign. Attribution is the method of assigning importance to different touch-points. How does Attribution Work? There are different models for assigning value to content following a conversion. 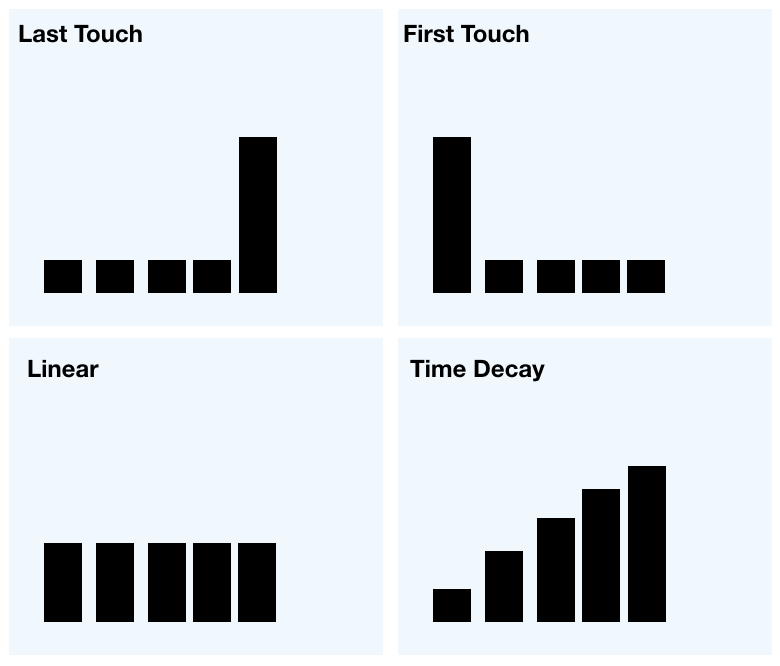 First and Last Touch Attribution assume that the order of exposure is important, Time-Decay Attribution suggests that the influence of content is reduced over time, whilst U-shaped attribution accounts for Primacy and Recency. What are Chatbots? A Chatbot is an automated programme that provides responses to customers. They are usually delivered through pop-up boxes on an eCommerce website. How do Chatbots work? Artificial Intelligence and Machine Learning technology allows automated programmes to imitate human interactions and deliver appropriate responses to information requests. However, almost all research demonstrates that customer quickly realise that they are talking to a robot rather than a human. It is best to combine any chatbot system with genuine customer support. What is Content Marketing? – Content marketing is a technique in which valuable and relevant material is provided to a target audience in the hope of driving engagement. It can take the form of blogging, podcasting, creating videos or producing visual content. How does Content Marketing work? – Producing content that your audience will love is a sure-fire way to build a relationship. There are other benefits, too: Content marketing can be used as part of a broader SEO strategy, it generates brand authority and trust, it can even generate leads. What is CRM? CRM, or “Customer Relationship Management,” is the process of engaging with customers throughout their engagement with your company. With the cost of customer acquisition rising (due, in part, to advertising costs) businesses are focusing on customer retention. CLV (customer lifetime value) has become an important part of most business’s marketing strategies. How does Customer Relationship Management work? CRM software maintains the contact information for a company’s previous customers. Communications can be automated and delivered instantly, whilst customers can contact a company through their CRM system. The advantages of CRM software are considerable: it allows businesses to map the customer journey more effectively, prevents communications from breaking down, provides an alternative marketing and recruitment channel, increases customer satisfaction and can even be used to make better sales forecasts. What is Influencer Marketing? Influencer marketing delivers a message to potential customers through highly networked social-media or content sharing accounts. Influencers are people whose accounts attract a large number of follower and views, and who correspond to the desired audience. How does Influencer Marketing work? Unlike traditional marketing or digital marketing methods, Influencer Marketing is complicated by the need to engage a third party (the ‘Influencer’) without compromising their value as a communicator. The first step is to research your audience and identify any key Influencers. Then, you can contact the person and invite them to review or refer your product. It is important to ensure that any material that your Influencer produces complies with the policy and terms of the platform they use. What is Intrinsic Motivation? Intrinsic Motivation is an incentive that arises from internal desires and satisfactions. It might be social, psychological or practical. What is Extrinsic Motivation? The desire to avoid punishment or receive a reward constitutes an Extrinsic Motivation. How does Motivation Work? Depending on the circumstances, Intrinsic and Extrinsic motivations will be more or less persuasive. With short-term tasks, Extrinsic factors (discount offers, for example) are most effective. For larger decisions with longer-term effects, Intrinsic factors (which can be influenced through persuasive copy or branding) play a larger role. The average consumer deletes half of their emails daily without reading them. What is Outbound Marketing? – Outbound marketing is any form of promotional activity that delivers content to its audience without them initiating the conversation. Advertising is the most obvious example of an outbound technique. Outbound marketing typically offers a lower ROI than inbound techniques, but has more potential for brand-building and market positioning. How does Outbound Marketing work? – A marketer will decide on their target audience and create an outbound strategy. This could involve: Sending cold emails, social media advertising (Facebook or Instagram), Google Ads, Amazon advertising or native advertising. What is Pain of Paying? When someone makes a financial payment they experience psychological effects similar to those caused by physical pain. This makes consumers resist the transaction until the desire to make a purchase becomes significant enough to overcome the pain of paying. How do marketers respond to the pain of paying? The payment process itself should be as quick and simple as possible. Pricing structures should be clear and any uncertainty should be addressed. What is Re-marketing? Re-marketing targets an eCommerce website’s past visitors, whether or not they made a purchase during their previous visit. The practice is based on the principle that past visitors are likely to be more relevant acquisition targets than any other audience. How does Re-marketing work? When someone visits your website, re-marketing software installs a cookie on their browser. The cookie ID is then added to your re-marketing list, and adverts will be displayed to the visitor during a subsequent browsing session. To enhance to process, re-marketing cookies can be restricted to a specific section of your website’s visitors (for example, those that viewed a product but did not make a purchase). What is SEO? SEO, or “Search Engine Optimization,” includes any technique that makes online content more visible to search engines and web users. How does SEO work? It is typically divided into “on-page” and “off-page” techniques. On-page techniques include keyword optimization, editing tags and attributes, and re-structuring copy. Off-page techniques include link-building and content promotion. SEO strategies are discussed below. What is Voice Search? Voice search replaces traditional keyword searches with spoken search terms. How does Voice Search work? Voice recognition technology is used to run a conventional web search, without the user having to type search terms manually. Whilst this means most SEO considerations are still applicable, it will almost certainly change the way browsers express their search interests. The quickest way to start selling products online is to set up a store using an eCommerce Platform. 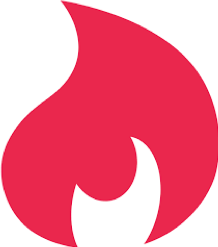 Most of these platforms charge a monthly fee that varies with the features they provide. Even free platforms usually charge for processing card payments. 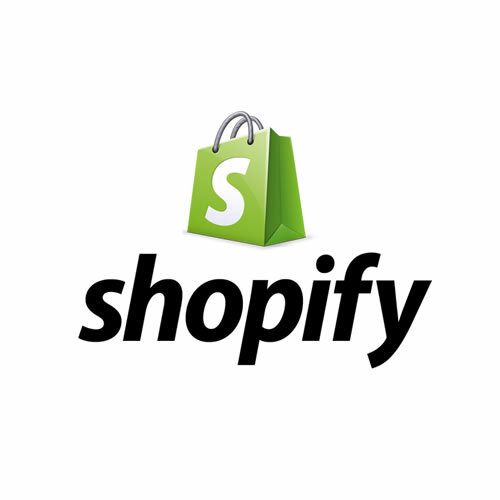 Shopify, for example, charges between £23 and £299 to host a store as well as 2.2% + 20p for each transaction. WooCommerce, the plug-in extension for WordPress sites, comes with a hosting charge of between £3.15 and £5000 and numerous additional costs. This is the best-known and easiest platform to use. The range of pre-formatted store templates allows anyone to set up a store in minutes and Shopify comes with a range of built-in analytics. In addition, the platform offers a range of apps to improve conversion rates. Est. 2008 Pricing: Wordpress hosting 6.95-12.95/m Add-ons: Communication, SEO, Marketing and Security add-ons cost (on average) over £150 a year. This is the eCommerce extension for WordPress sites. Customisation, analytics and marketing are all intuitive. Est. 2009 Pricing: 29.95-249.95/m Add-ons: Built-in communications and analytics are free to use. This is a more flexible option than Shopify or WooCommerce. It would suit eCommerce marketer who want to control and customise their store in detail. Est. 2001 Pricing: 19-540/m Add-ons: No extra charges for features, which are limited by the plan you choose. However, technical support can be expensive. This is the only platform available that focuses specifically on small and medium-sized businesses. It prides itself on its fairness and transparency. A 2018 survey showed that 68% of people would pay more for a product if the company providing it had a good record of customer service. The same survey also illustrated a more fundamental point: customer service reviews correlate strongly with a business’s revenue. Increasingly, Web Marketers are embracing multi-channel customer support. This means offering a number of ways for customers to contact them. Live chat: on-page support from experts is the preferred channel for most customers. In fact, a well-known survey by Zendesk found that live-chat support had a 92% satisfaction rating. However, the same survey found that demand for live-chat support declined noticeably before 10am and after 3pm. It is not a cost-effective solution for 24-hour customer support. FAQs: self-service guides provide some of the lowest customer satisfaction responses. However, they are a one-time expense, and provide an alternative service channel with no staffing costs. Machine Learning has made it possible for businesses to offload particular tasks to dedicated programmes. However, Artificial Intelligence does not yet provide reliable answers to specific queries. The 2018 Customer Expectations Report produced by Gladly suggested that 50% of chatbot users were unhappy with their experience. Expectations for customer support have risen with the availability of instant messaging. Interestingly, a report from the Harvard Business Review found that customers prefer clear and direct answers from a single source to solutions from a range of sources. The most common, and cost-effective, approach to the demand for continuous support is an integrated multi-channel system. There are a number of further questions to think about: What kind of answers do you customers need? What kind of answers do they want? Should you prioritise customer support or User-experience? Search Engine Optimization offers one of the best ROIs (Return on Investments) of any Web Marketing strategy. The principle is to make your company and products as visible as possible to the people who need them. To do this, marketers study Search Engine Ranking Factors and optimize their websites with these factors in mind. Google accounts for over 90% of all searching online. The reason for this is that it consistently provides searchers with the content they want. To make sure it continues to provide the best results for its users, Google regularly updates its ranking algorithm, and websites are now ranked on over 200 differently weighted factors. “The Florida Update” (2003) – Google took the first steps towards eliminating “Black-hat” strategies like keyword stuffing. A number of top-ranking websites were caught out. In the same year, continuous (rather than monthly) indexing was introduced. “The Caffeine Update” (2010) – Google integrated crawling and indexing to keep its index more up to date (site indexing was made 50% fresher). “The Panda Update” (2011) – A large-scale reboot targeting websites with thin content and a high ad-to-content ratio. It was rolled out over the following months and did not apply to Europe until April. “The Penguin Update” (2012) – Google introduced a new set of penalties for “over-optimised” websites (such as those with excessive keyword density). “The Pigeon Update” (2014) – Google integrates local search more closely with its core algorithm. “The Possum Update” (2016) – results for local searches are made more specific to the searcher’s location. Alongside consistent ranking factors, Google’s algorithm is continuously adjusted by an AI system called RankBrain. 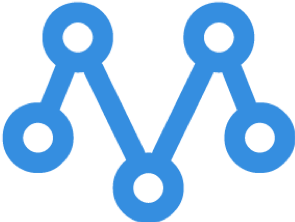 The AI uses previous search data and user behaviour to assess which of its ranking factors to prioritise for a given keyword. Although Google’s ranking factors are not published, and the use of AI makes ranking unpredictable, independent research points to some factors as particularly significant. eCommerce websites should also bear in mind that advertorial content is usually ranked lower for general search-words than educational or informative content. However, it will perform better for search queries relating to purchases or services. Potential customers browse internet content by entering terms into a search engine. These terms contain keywords. SEO marketers identify these keywords and make sure they structure website content to highlight them. “Black-hat” techniques such as keyword-stuffing are rarely effective, and often lead to ranking penalties. However, keyword density is a legitimate consideration when signposting content for Search Engines. It also makes sense to include keywords and phrases in titles, subheadings and tags. The link structure of a website and its various pages is a significant Search Engine Ranking Factor. One of the most important considerations are the links from external websites (called “backlinks”). SEO marketers promote their content in order to receive valuable backlinks from highly-regarded websites. In addition, many blog writers use guest-posting to secure mutually beneficial backlink opportunities with other blogs. As with SEO, Email Marketing also provides a high ROI. The advantage of this approach is that content is directed to people who are likely to engage with it. However, the strategy relies on acquiring large numbers of email contacts from potential customers and maintaining a healthy database. Across all industries, the open rate for marketing emails is around 25%. However, this includes people who immediately close the message. In any case, the numbers suggest there is a lot of room for improvement. Ethical growth: The introduction of GDPR and associated legislation has allowed digital marketers to move on from the spam methods that used to dominate email marketing. Growing your email list ethically is difficult and time-consuming, but it means higher-quality leads, better engagement, and the creation of a real community. Segment your list: Another advantage of email marketing automation is the ease with which you can segment a large number of subscribers. Sending the right content to the right person is key to securing engagement and preventing list decay. Be persuasive, not misleading: The most obvious examples here are your title and subject lines. Misleading headers will increase you click-through rate, but they won’t improve engagement with your content. In the long-term, you are far better off generating curiosity than misunderstanding. Embrace Multi-media: A lot of marketing experts will tell you to include video in your emails. It makes sense; email content that includes video tends to perform better, and studies show how positively people react to multi-media content. However, embedding irrelevant material is a bad strategy. Instead, keep your emails relevant, varied and concise. AutopilotHQ – By far the most user-friendly solution for marketing departments. The visual email builder is highly intuitive and the workflow is simple to manage. ActiveCampaign – Although the visual email builder was awkward, this solution provided the best Lead Scoring system of all available software. SendInBlue – Remarkably powerful tool for its affordability. The email builder is not intuitive, and the contact management can be a bit buggy, but the service scales well and the support is excellent. Native advertising imitates the environment in which it is displayed. For example, a large proportion of Social Media advertisements blend into a browser’s news feed. Because this material bypasses a consumer’s “Ad-Recognition,” it is a controversial technique. However, the strategy is legally permissible as long as specific forms of disclosure are provided. The future of this form of advertising is hard to predict. On the one hand, consumption of native ads via mobile browsing has increased significantly in recent years. On the other, hosts such as Facebook have come under significant pressure to regulate the sponsored content in users’ feeds. Most Google searches bring up paid advertisements, displayed alongside organic search results. Advertising on Google is organised on a pay-per-click basis, and prices vary according to the demand for a particular keyword. Because advertisements are filtered by search terms and cookies, the targeting of Google Ads is highly efficient. The platform accounts for over 95% of Google’s $100 billion annual advertising revenue. 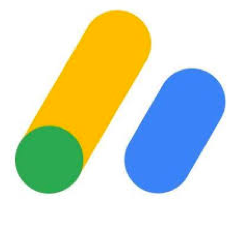 In the final months of 2018, Google introduced a new way to buy advertising. It has been made possible to pay for Google Ads on a CPA (pay-per-conversion) basis. This service is not available for every eCommerce retailer, but it does offer the promise of risk-free eCommerce marketing. Usually in the form of banners, floating adverts or pop-ups, display Ads are targeted according to the website and the visitor. Because Display Ads are usually easily ignored by consumers, they tend to be used only in high-budget saturation campaigns. One important, but unquantifiable, return from Web Advertising is an increase in Brand Awareness and Brand Authority. A significant factor in enhancing these important metrics is the Mere Exposure Effect. Familiarity with an idea, image or name generates positive feelings towards it. However, to achieve this effect, it is essential that advertising campaigns provide consistent messaging. Landing pages are particularly important, and using Dynamic Headlines can help to maintain consistency between the advert clicked and the content displayed. Whilst display ads might seem inefficient, they have the advantage of being targeted at a very specific audience. Because of this, content that is relevant to a web browser still has a strong chance of producing engagement. Whilst marketing experts rarely agree on anything, there is one thing everyone seems to agree on with regard to advertising strategy: video content will become essential. Without advertising directly, eCommerce businesses can still use social media to generate leads. For example, a company profile and business page provides an excellent way to interact with customers. However, the most significant recent development in social media marketing has been the rise of the influencer. Influencer marketing uses a high-profile individual’s social media account to distribute content to their followers. The technique has been routinely dismissed by marketing experts as outdated, but year-on-year growth in Influencer marketing has been remarkably consistent. If 2018 was the year of the Influencer, digital marketers have begun 2019 by focusing on a new kind of target: the Micro-influencer. Micro-Influencers differ from Influencers in that their value is in the quality (rather than quantity) of their social media connections. Developing a relationship with a relevant blog writer or vlogger is often more effective than trying to gain endorsement from a celebrity. Google Analytics: There is no option here. If you have a website and you care about how it performs, you need to get a Google analytics account and install it on your site. Once installed, Google Analytics can track your audience, how you acquire visitors and how people behave on your site. 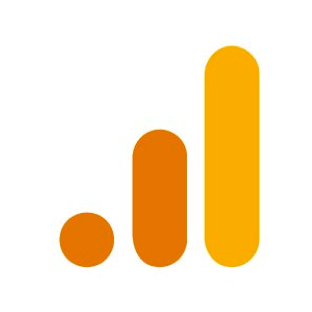 Metrillo: an alternative and user-friendly analytics platform. Installation is fast and simple, and the software comes with the ability to segment your customers and send targeted emails. CrazyEgg: A suite of website analytics tools, including mouse-tracking heat-map, recorded sessions, and CTA sweet-spot tools. 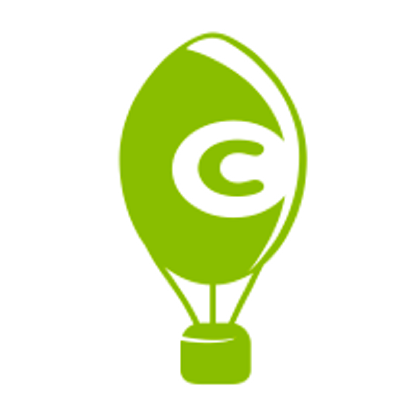 CrazyEgg shows you how visitors view your site and where they click. Hotjar: An alternative scroll map and mouse-tracking tool. It has few features than CrazyEgg and is therefore easier to use. It is well-reviewed for its screen-recording features, but its analytics are underpowered. 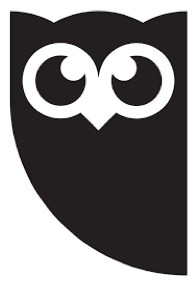 Hootsuite: A social media management suite, allowing you to plan and track social media content months in advance. Whilst a free plan exists, this is only appropriate for small companies. The tool does not integrate perfectly with Facebook, and forces its users to shorten links with Owly. 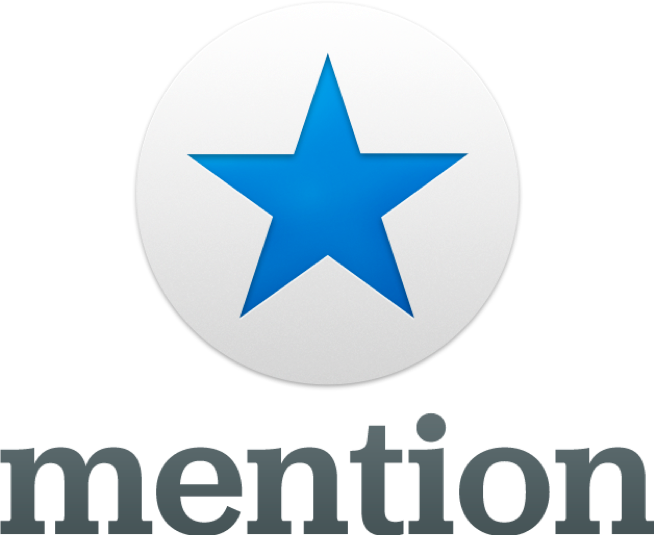 Mention: A tool that monitors mentions of your brand on social media platforms. It also allows you to reply to mentions, engage with your audience, find influencers and build reports. 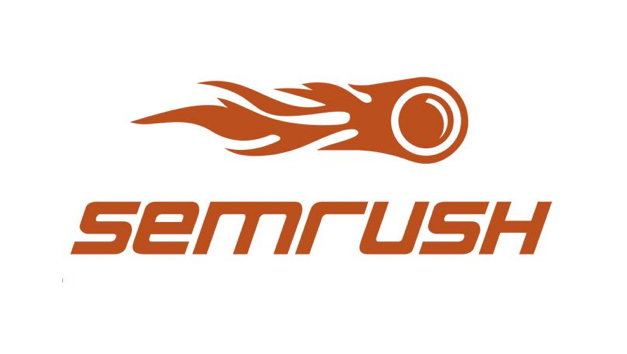 SEMRush: A combined SEO and advertising tool, with a much-vaunted competitor-analysis feature. The tool has an impressive range of features but is an expensive option for medium-sized businesses. 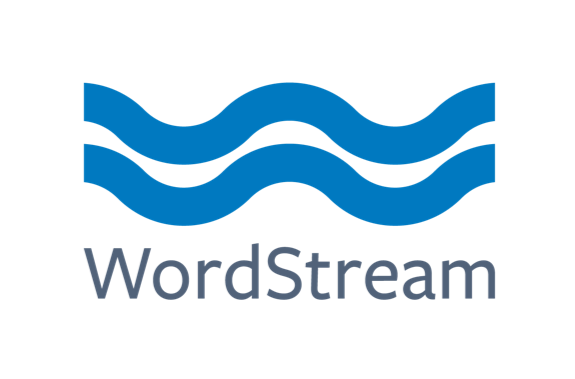 Wordstream: A platform that allows you to visually track CPC and CPA campaigns. It reduces the time you spend managing online adverts and provides a way to optimise campaigns. Google Adwords Re-marketing: Adwords makes this re-marketing option available to anyone with a Premium Adwords account. You can segment previous visitors and send targeted adverts. 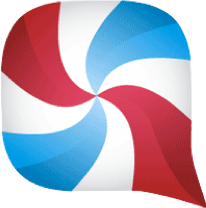 Referral Candy: A comprehensive customer-reward system allowing you to segment users and target rewards. Each customer to your site receives a tailored referral link, providing them with a reward for recommending you to a friend. There are four traditional approaches to pricing. The Cost-Plus Method: The Cost-plus method sets prices according to the cost of production and a fixed margin. Customer Pricing: When prices are based on the amount a customer is willing to pay. Competitor Pricing: This is the practice of basing prices on those of direct competitors. Aggressive strategies aimed at gaining market penetration usually fall into this category. Value Pricing: When prices are based on the perceived value of a product, from the customer’s perspective. However, the web is a different environment in which to operate. Because options are more readily available online, pricing is much more comparative than it has ever been previously. As a result, you should consider the role of cognitive biases and heuristics in assessing relative value. What is the Serial Position Effect? The Serial Position Effect describes the way information is received differently depending on the order in which it is received. How does the Serial Position Effect work? Two effects govern the perception of information when it is presented in a series. The Centre-Stage Effect describes our tendency to gravitate towards choices that seem like a happy medium. Alongside this, the Serial Position Effect describes the way people remember information that is presented in a series. The first item is remembered due to “primacy” whilst the last is remembered due to “recency”. Anchoring is our tendency to evaluate choices by comparing them with prior information. For example, an offer is likely to appear more attractive to customers when it follows a high-cost option. Similarly, estimations of value are easily affected by (even irrelevant) priming. What is the Psychology of Choice? The customer’s experience of an offer reflects the circumstances in which the offer is presented and their own ability to process relative values. How does the Psychology of Choice work? Again, two separate effects are involved. The first, Single Option Aversion, occurs when a consumer declines a good offer due to the absence of an alternative. The other, the Paradox of Choice, occurs when a consumer is unable to commit to an option due to an excess of offers. What is the Scarcity Effect? The scarcity effect is the cognitive bias that leads people to overvalue rare or restricted items, and undervalue those in abundance. How does the Scarcity Effect work? eCommerce stores regularly apply scarcity features to increase conversions. Scarcity can be applied in a number of ways. For example, you can display “low stock” notifications, provide limited availability offers or introduce restricted timeframes. Social proof is an important part of the way groups of people interact. It also helps individuals to make decisions. The role of third-party reviews in directing consumer behaviour has led to the widespread adoption of social proof as an eCommerce marketing technique. The effect occurs when an individual becomes conscious of other people’s choices and behaviours. The individual will then modify themselves in order to conform. The power of Social Proof can be significantly enhanced by context. Social Proof can prompt direct imitation or cause an individual to revise their behaviours and opinions. For example, an experiment conducted by Robert Cialdini illustrated that information about how other people behaved persuaded hotel guests to change the way they used towels. eCommerce marketers can enhance their conversion rates by including review snippets on their homepages, offering a rating system for products and displaying how popular an item is with notifications. There are also a range of social proof marketing apps available. The Visual Depiction Effect describes the way in which people are more inclined to buy a product when they can visualise themselves using it. It can be effective to display a product being used by someone, without its packaging, or accompanied by a utensil or tool that we might use in real life. There are a couple of simple ways to apply this tactic and it is used to great effect by some of the biggest E-commerce brands on the planet. Use Product Pictures With Context Show your products in the ideal situation in which they would be used. If your customer can visualise themselves using your product then they’ll feel more inclined to buy it. Include Several People Or Products In Your Images Try to include more than one individual or product in your visual marketing materials. By adding more variety you can reduce the mental effort different visitors would need to imagine themselves using your products. Visual depictions can greatly enhance browsers’ ability to engage with your product, and ultimately become buyers. With a few small changes to your digital marketing, you can significantly improve the speed, value and frequency of conversions. What is the Motivating Uncertainty Effect? The Motivating Uncertainty Effect adds value to anything you offer your customers. It works by targeting the irrational nature of expectation. By offering variable rewards, rather than fixed returns, the incentives you offer a customer become far more persuasive. This is particular useful for minor exchanges, such as a survey invitation asking for a customer’s feedback in exchange for a reward. Your response rate is likely to be increased with the use of a variable reward, like a prize. How does Motivating Uncertainty Work? One example of how this can work is through gamification. Challenging someone to complete a task, and offering a variable reward in return, significantly increases the chance of them completing the task. Cognitive Friction occurs when a customer is forced to think too hard in order to complete your desired behaviour. It can be reduced by simplifying your content, signposting actions and focusing attention. The ultimate goal of any User Experience (UX) designer or Conversion Rate expert is Cognitive Ease. Reducing the cognitive load of your customers and directing them, helps to cultivate positive associations with your brand and improve engagement. It also makes return visits more likely, which is a huge factor in improving conversion rates. The Mistake: Favouring information that confirms existing beliefs or discrediting evidence that challenges our preconceptions. The Solution: Always start a new campaign with an open mind. Experience is useful, but not as useful as evidence. The Mistake: Focusing on testing a preconceived idea, without testing alternatives. The Solution: Your CTR might be high, your CPC might be low, but you don’t know what this means unless you try multiple versions of your content. The Mistake: Trusting old information more than new evidence. This leads people to revise opinions more gradually than the available evidence suggests they should. The Solution: Constant evolution is essential in a field based on competition and innovation. Make sure your marketing team are equipped and empowered to respond fast.